Chana masala, also known as chole masala is a popular Punjabi dish prepared with Kabuli channa (also called chickpeas, chole or garbanzo beans). 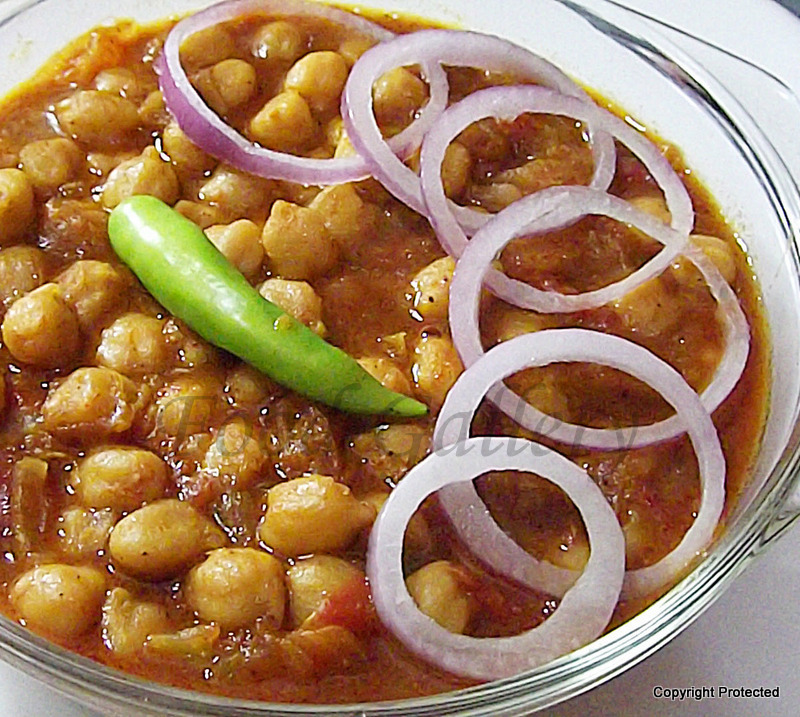 It is generally served with bhatura, but it tastes divine with rotis and pooris too. Every family has its own version of channa masala. 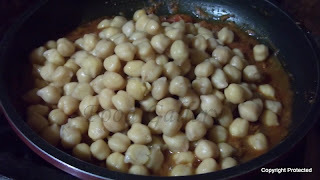 Here is mine..
Soak channa overnight. Wash and pressure cook the channa with a little bit of salt for 3-4 whistles. 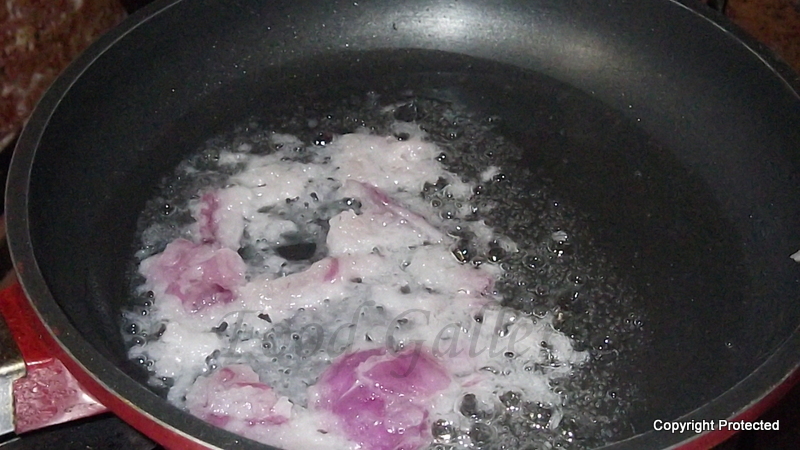 Slice one onion into thin long pieces and grind the second onion to a fine paste. 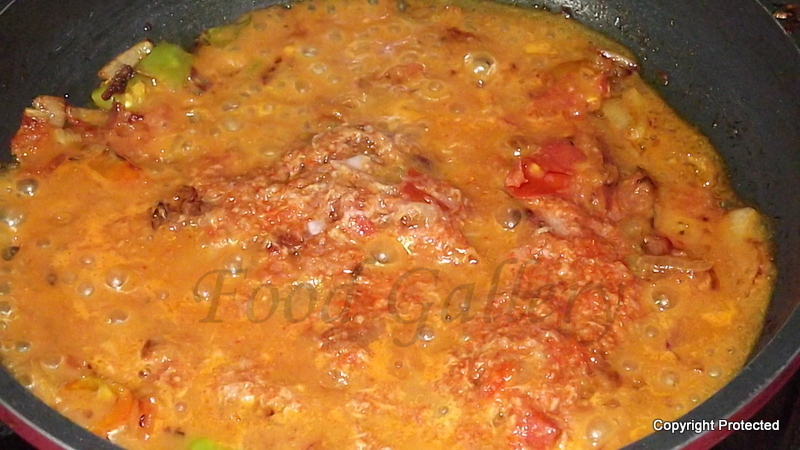 Grind or grate the ginger and garlic to a fine paste and keep aside. 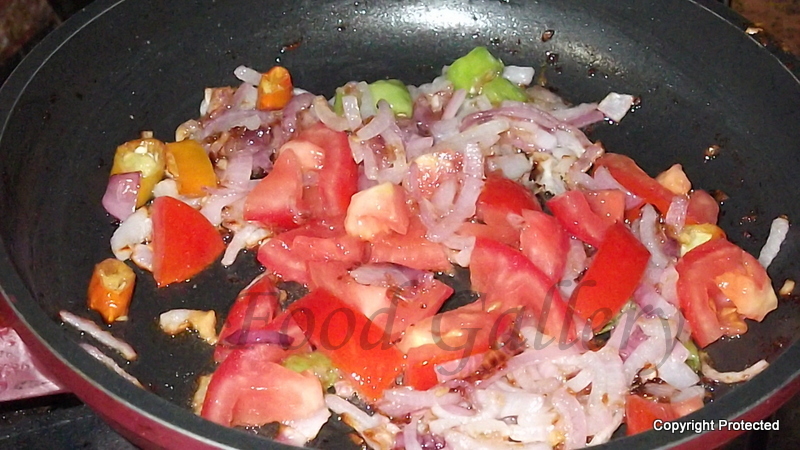 Heat oil in a kadai and add onion paste and saute till it turns light brown. 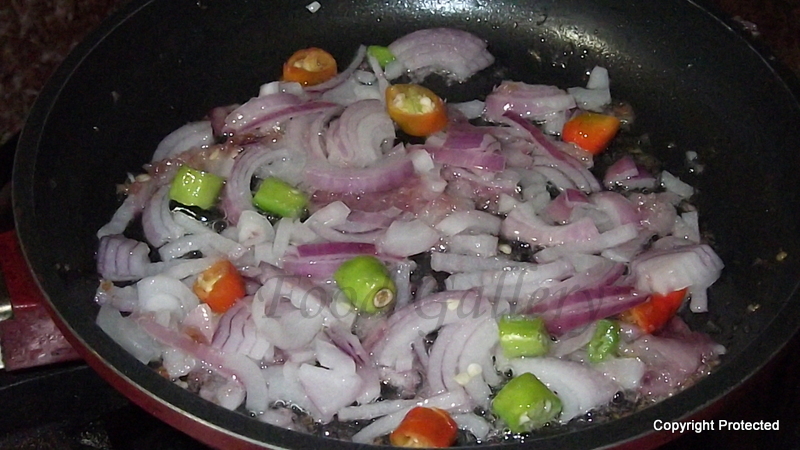 Add sliced onion pieces and green chillies and fry till the onions turn light brown. Add tomato pieces and mix well and cook till they turn mushy. 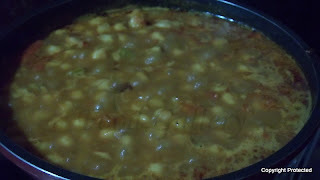 Add ginger-garlic paste and all the spice powders - turmeric, coriander powder, chilli powder, channa masala powder, salt and mix well and cook till the oil separates. 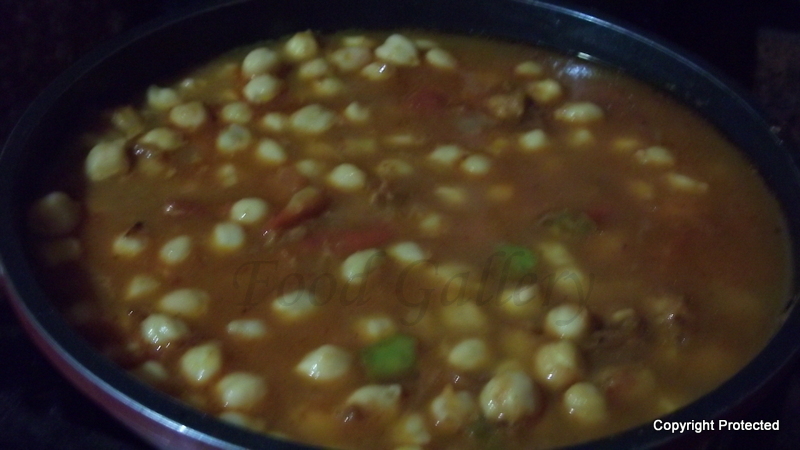 Now add the cooked channa and mix well. Once the water reduces and you get a thick gravy, remove from fire. 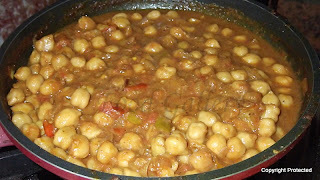 Channa masala is now ready to serve with bhatura, poori/luchi or roti. Delicious channa masala.. Nicely presented. its been a while since i made chole. looks so good i have to make it soon. 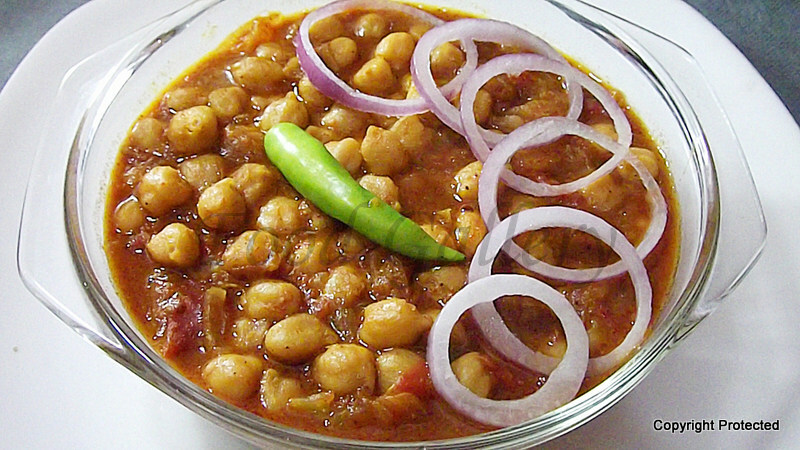 very clear presentation.. perfect with poori.. I have been looking out for such a recipe and here comes yours which I am bookmarking right now. 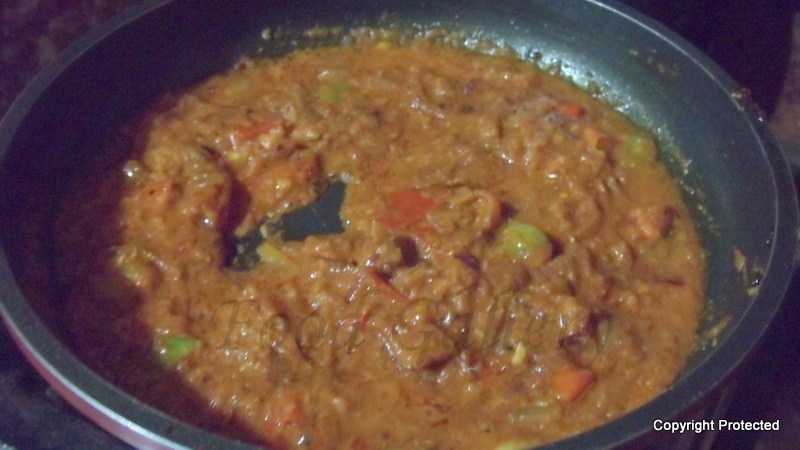 Looks fabulous and I will certainly not regret trying out the recipe. Wow!!!!!!!!! !chana masala .My favourite. 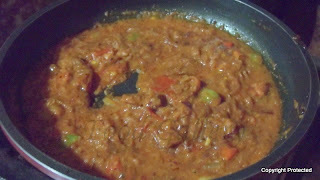 looks mouthwatering & delicious.